BitlBee allows you to chat on Instant Messaging protocols within your IRC client, it is an open source project released under GnuGPL v2. The main page for Bitlbee is at BitlBee.org, which is where you'll need to go if you want more information about what it is, where to download, how to try it out without installing anything, and lots of other wonderful things. For documentation on installing, connecting and other things check out Bitlbee's external documentation page. The center of BitlBee is the control channel, &bitlbee. Two users will always be there, you (where "you" is the nickname you are using) and the system user, root. This quickstart guide navigates you through the first steps you may want to take when you begin using Bitlbee. You need register so that all your IM settings (passwords, contacts, etc) can be saved on the BitlBee server. It's important that you pick a good password so no one else can access your account. Register with this password using the register command: register <password> (without the brackets!). Be sure to remember your password. The next time you connect to the BitlBee server you will need to identify <password> so that you will be recognised and logged in to all the IM services automatically. Step Two: Add and Connect To your IM Account(s). To add an account to the account list you will need to use the account add command: account add <protocol> <username> <password> [<server>]. Other available IM protocols are jabber, msn, and yahoo. Oscar is the protocol used by ICQ and AOL. For oscar, you need to specify the IM-server as a fourth argument (for msn and yahoo there is no fourth argument). For AOL Instant Messenger, the server name is login.oscar.aol.com. For ICQ, the server name is login.icq.com. 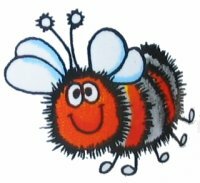 For most protocols (currently MSN, Jabber, Yahoo and AOL) BitlBee can download the contact list automatically from the IM server and all the on-line users should appear in the control channel when you log in. BitlBee will convert names into irc-friendly form (for instance: tux@example.com will be given the nickname tux). If you have more than one person who would have the same name by this logic (for instance: tux@example.com and tux@bitlbee.org) the second one to log on will be tux_. The same is true if you have a tux log on to AOL and a tux log on from Yahoo. In this case r2d2 is online, since he/she joins the channel immediately. If the user is not online you will not see them join until they log on. <you> tux: hey, how's the weather down there? <tux> you: a bit chilly! If you'd rather chat with them in a separate window use the /msg or /query command, just like you would for a private message in IRC. If you want to have messages automatically come up in private messages rather than in the &bitlbee channel, use the set private command: set private true (set private false to change back). You now know the basics. These are just some notes I threw together for my own reference. Remove < > brackets when using these commands, when [ ] brackets are used it means the field is optional or conditional. In order to see the commands that bitlbee offers, type: help commands in the bitlbee control channel. You can type help <subject> for more detailed help on each subject. You will find many very useful settings by just typing set. account add <protocol> <username> <password> [<server>] -- for specific information about connecting to each type of IM server try help account add <protocol>. account list -- lists all your accounts, including the account id which is required for such things as deleting accounts and managing users.